Voodoo Tactical Hat Black | BUDK.com - Knives & Swords At The Lowest Prices! The real thing! With Redi-Curve Bill that's pre-formed to keep it's tactical curve. 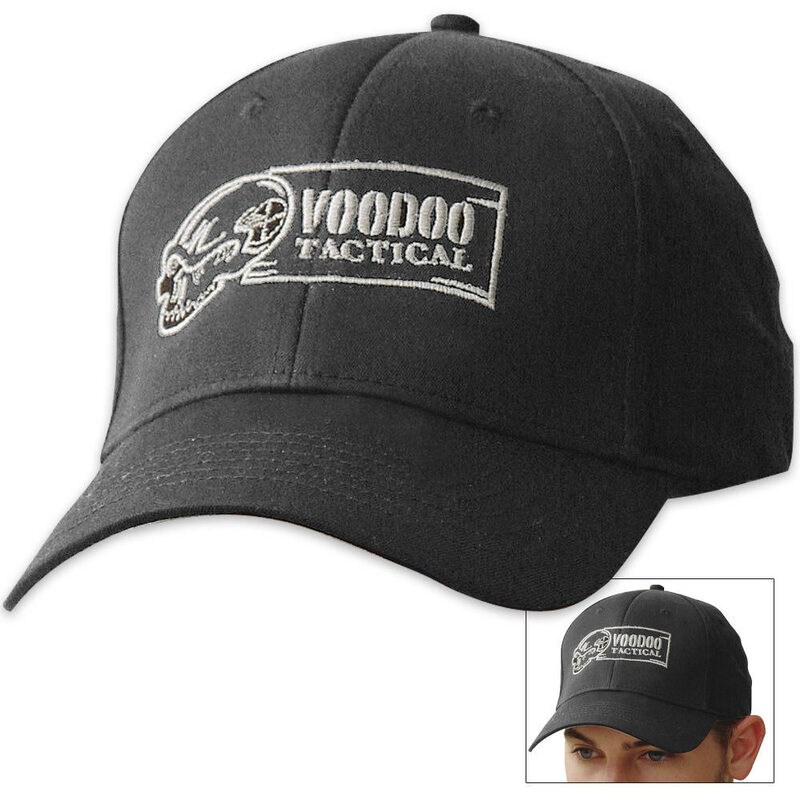 Voodoo Tactical's 6 panel hat has sewn eyelets and is made of 96% breathable cotton and 4% Spandex for a super-comfortable fit. With a Nu-fit Elastic Stretch Sweatband, one size (L/XL) fits most.